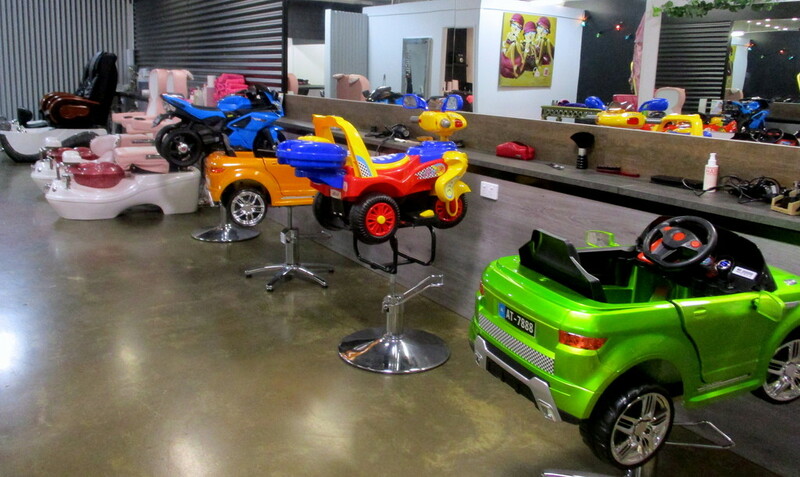 Hair cutting Salon just for children!! Amazing!!! Sure beats what we had as kids!! fab idea, might have worked on my son! What fun! Such great colours! What a great idea for kids. I'm sure they all want to go there for their haircuts. I would like to get my hair cut there:) Fun shot of a fun place. Oh my, that is really cool. Super idea, take their minds of the dreadful hairdresser. I bet kids just love it. Looks great for kids. Now they want a haircut every day. What a great idea they must love going to get their haircut.